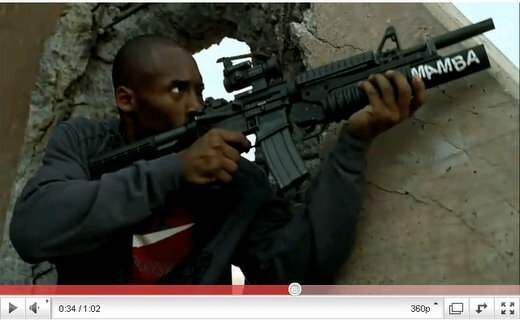 I was listening to ESPN Radio today and they were talking about Kobe Bryant in his new Call of Duty: Black Ops commercial. And the discussion was all about how some people are outraged that Kobe Bryant would put himself in a commercial that seems to be encouraging war, guns, killing, and all of the above giving you a “smile” and “happy feelings”. And of course, the ones who were (are) most upset are parents. And why were these parents upset you ask? Because they are the ones who rely on super stars, movie stars, sports figures, etc… to influence their children. Hang on a minute. As a parent myself, shouldn’t “I” be the one who is influencing my children – not Kobe Bryant?